Before you can compare gas and electric water tanks, it’s important to note that there are two different options for each kind. Electric water heaters can be found in their traditional form, or they can be powered by a heat pump. Gas heaters can be found in their traditional form or as condensing boilers. Each kind of water heater has its own distinct benefits. You can also opt for a tankless water heater, of course. 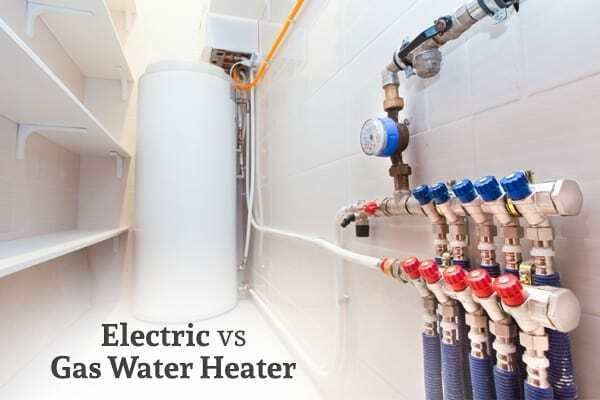 If you’re considering that option, here’s a comprehensive breakdown of the differences between water tank heaters and tankless water heaters. Traditional gas and electric hot water heaters are the cheapest up front. A traditional gas water tank will run you around $300-$600, while a condensing gas water heater is generally about twice as expensive. Traditional electric water heaters are around $250-$500, whereas heat pump water heaters cost around $620-$1,500. These prices are for the tanks themselves and don’t include installation costs, which may be around $700-$2,000. If you’re concerned about energy efficiency, then heat pump water heaters are the best option. They have an Energy Star rating of 2.20, which is much higher than any other option. Traditional electric water tanks have an efficiency rating of 0.90, condensing gas tanks have a 0.86, and traditional gas water heaters have a 0.60. The downside to heat pump water heaters is that they rely on collecting the air around them. This means that they can really only be used in mild to warm climates. Furthermore, they can be hard to find. The most efficient water heaters are also the ones that cost the least over time, with one exception: despite having a higher efficiency rating than either gas option, traditional electric water heaters are usually the most expensive to operate. You also need to take into account whether or not you can easily access gas or electricity. Most houses have both easily accessible, but not all. Certain homes – such as rural houses – don’t have a gas line hooked up. This is not to say, however, that an electric water heater is your only option in such a case. If you don’t have direct access to a natural gas pipeline, you may be able to use a propane tank to power your hot water heater instead. When it comes to recovery rate, gas water heaters have a huge advantage. Recovery rate is the rate at which a hot water heater can heat water once the tank has been completely emptied of hot water. Gas water heaters can heat around 50 gallons of water in an hour, whereas an electric water heater can only heat around 14 gallons of water in an hour. If the power in your neighborhood gets knocked out, any electric appliances in your home will cease to work. This includes your electric water heater. If you live in an area that’s prone to losing power during hurricanes, tornadoes, or other natural disasters, you may want to opt for a gas water heater. 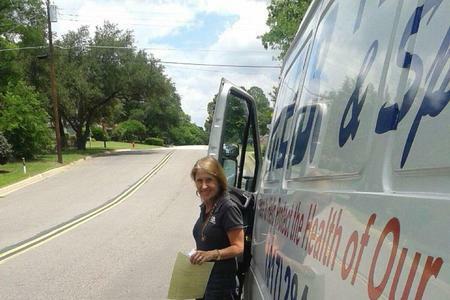 When it’s time to get your water heater replaced, contact HEB Plumbing & Sprinkler. Their technicians will help you decide what kind of water heater is best for your needs and then get it installed for you quickly.